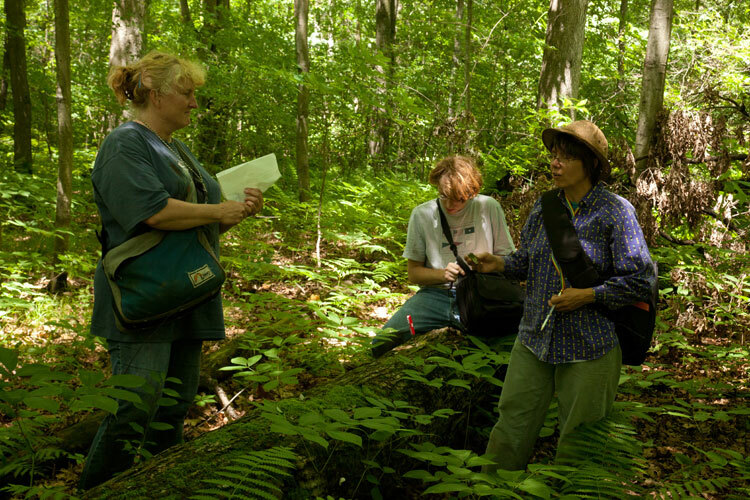 The Summer 2010 foray of the Ohio Moss and Lichen Association, organized by Jim Toppin and Janet Traub, was conducted at three locations in Henry County. 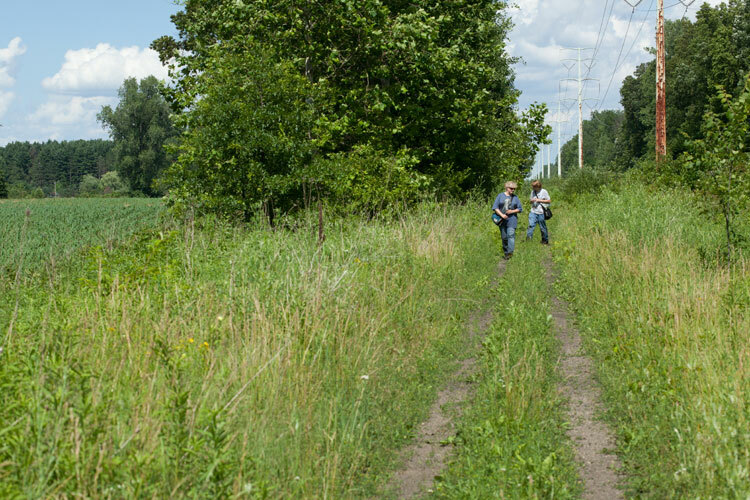 Simultaneously, OMLA members Bill and Carole Schumacher explored locations in adjacent Putnam County. These areas are located in northwestern Ohio. Henry County is in the greater Oak Openings region and includes portions of the Maumee State Forest. Otherwise, the counties are predominantly agricultural. The pre-foray moss records for these counties were quite sparse, with only 11 species known from Henry, and 12 from Putnam. The lichen flora is more well documented, with 15 species for Henry, and 34 species for Putnam. The foray was attended by 10 people, including 2 who explored Putnam County, and so were absent from the group photo. 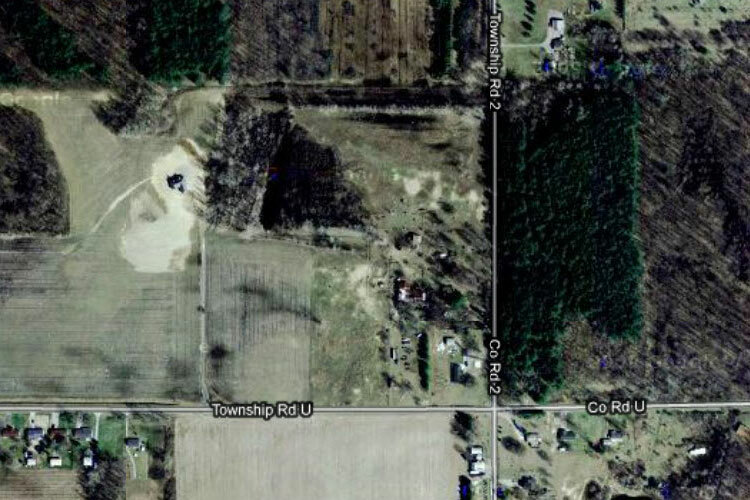 Collecting began at a former muck farm along Henry Co. Twp. Rd. 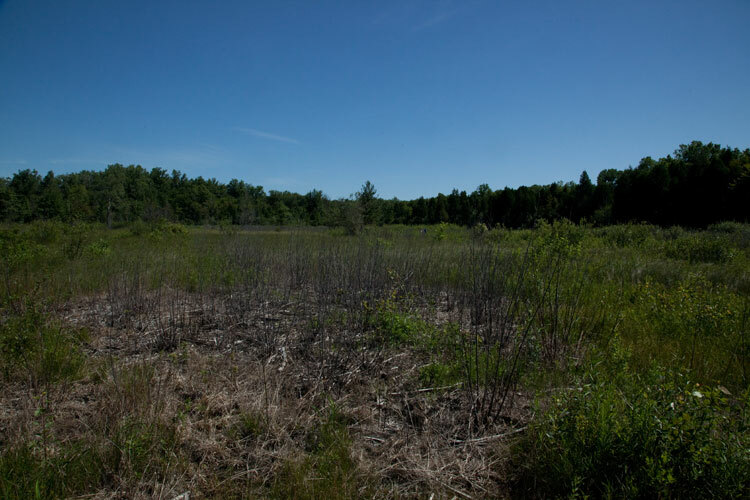 2 in Washington Township that is reverting to an interesting wild state. Here’s an aerial photo view. 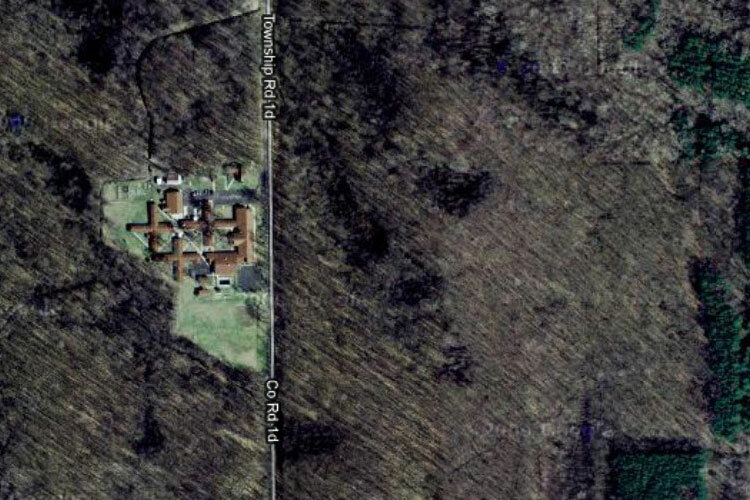 Aerial view of muck farm site in Henry County. Muck farm in Henry County. June 19, 2010. The soil seems to be an interesting mixture of wet, calcareous, organic, and sandy: a quite unique habitat that is home to some intriguing vascular plants with a fidelity to such peculiar areas. 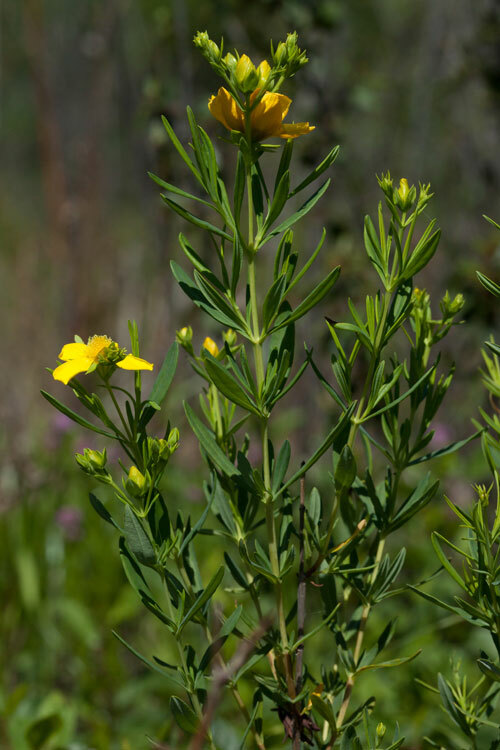 Here’s one of them, Kalm’s St. Johnswort, Hypericum kalmianum (Clusiaceae) a remarkably large-flowered member of the genus, and one our very few woody Hypericum species. Kalm’s St. Johnswort at muck farm site in Henry County. June 19, 2010. 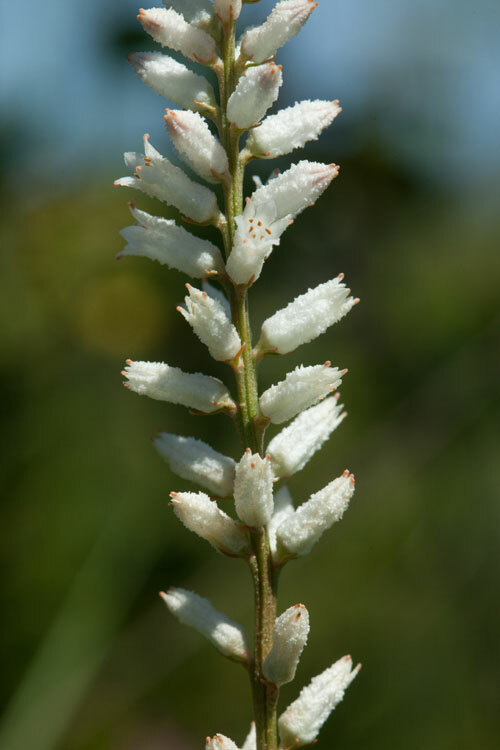 Another unusual plant that is found either in moist or dry, usually sandy soil is colic-root Aletris farinosa (Liliaceae). Colic-root at muck farm site. June 19, 2010. Henry County, Ohio. We carefully scoured all the pertinent substrates. 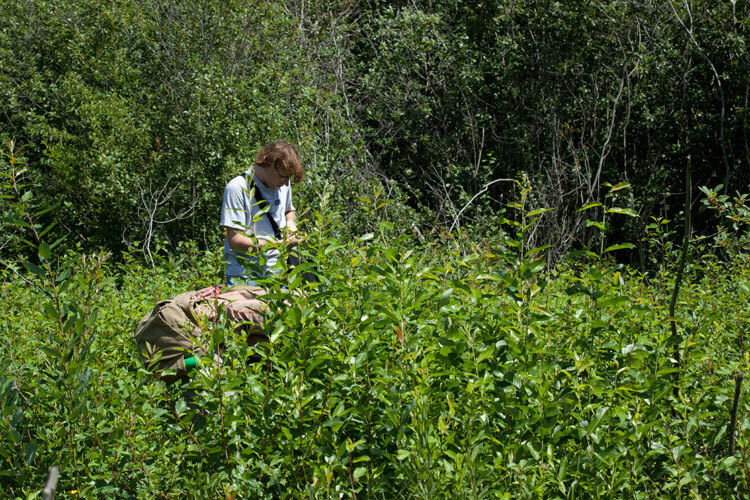 In the photo below, note both the dense herb cover of the open area, and in the background, a dense thicket dominated, unfortunately, by the invasive small tree, evil buckthorn, Rhamnus frangula (Rhamnaceae). OMLA foray participants at muck farm site. June 19, 2010. Henry County, Ohio. Some mosses were noted to be particularly abundant both in hummocks of the muck farm, and in the thicket. 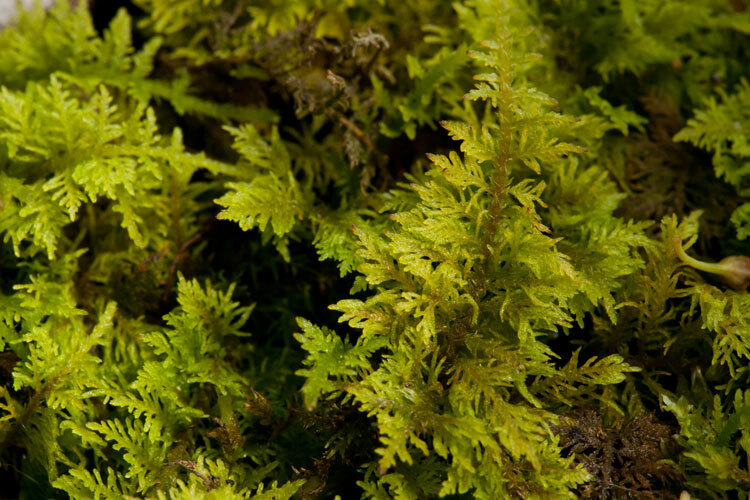 Below, see a moss that is an acrocarp (cushion moss) with very narrow leaves, many of which are swept to one side (secund). The sporophytes have rather long setae, and are topped by an elongate capsule (sporangium). 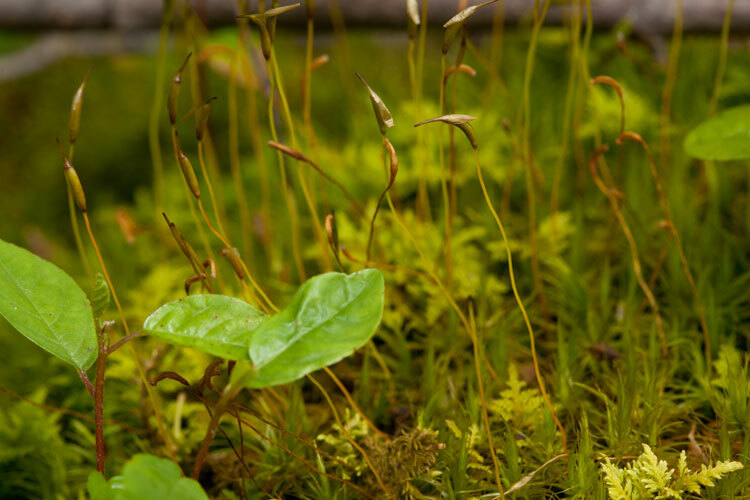 The plants in the photo have immature sporophytes, as evidenced by the presence of a hat-like calyptra, a remnant of the gamteophyte to which the sporophyte is attached. The calyptra will soon fall off. Narrow-leaved acropcarpous moss at muck farm in Henry County. June 19, 2010. 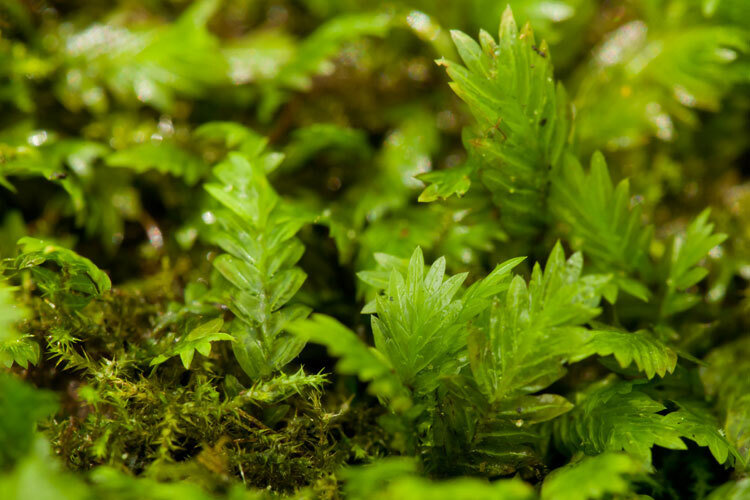 Another common moss is a tripinnately branched pleurocarp (carpet moss) that greatly resembles a tiny fern. Tripinnate pleurocarpous moss at muck farm in Henry County. June 19, 2010. An especially flat moss at the muck farm site in Henry County. June 16, 2010. The second stop on the Foray was a forested site across from the Lutheran Youth Center on Henry County Twp. Rd. 1D in Washington Township where we may have attained the staggering elevations of 685 feet. 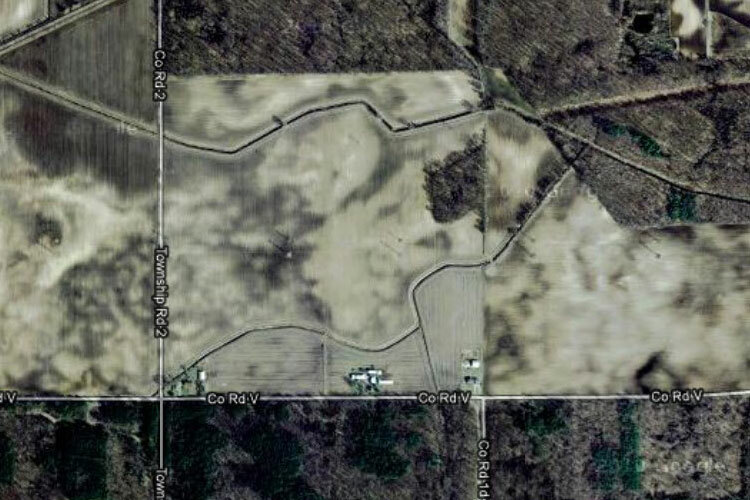 Here’s aerial view of the site. Aerial view of OMLA Foray Henry County Site 2. 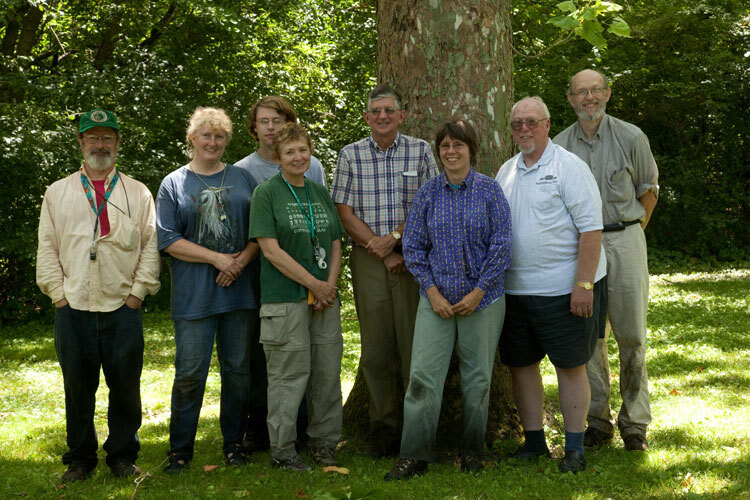 OMLA members at woodland site. June 19, 2010. Henry County, Ohio. 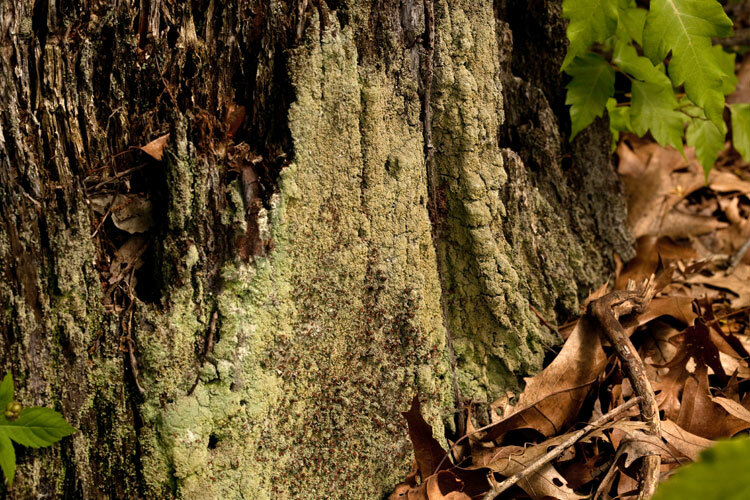 At the margin of the woods along the road, a tree stump is densely occupied by a lichen. Tree stump densely coated with lichen. June 19, 2010. Henry County, Ohio. 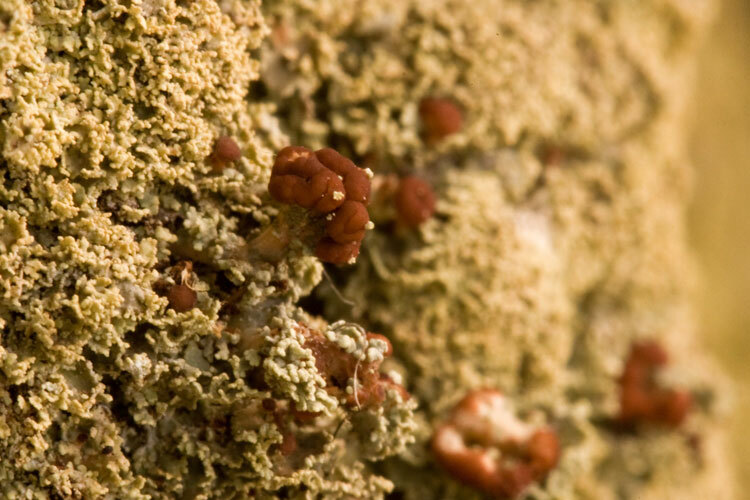 The lichen is a fruticose (shrubby) one with very abundant and very small primary squamules. Short podetia are present, capped with proportionally large dark brown apothecia. Fruticose lichen on tree stump. June 19, 2010. Henry County, Ohio. Also present here is a miracle of nature: an accidental terrarium! 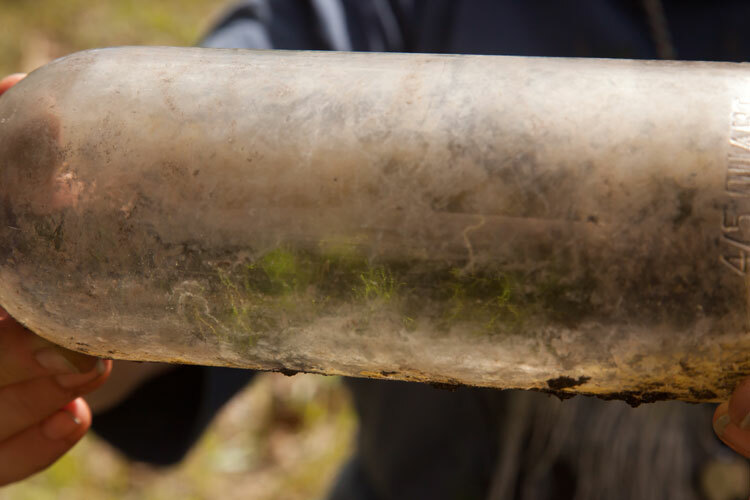 A discarded bottle colonized inside by a moss! A closer examination of the photo shows the moss is a pleurocarp with ovate-acuminate, widely spaced leaves. 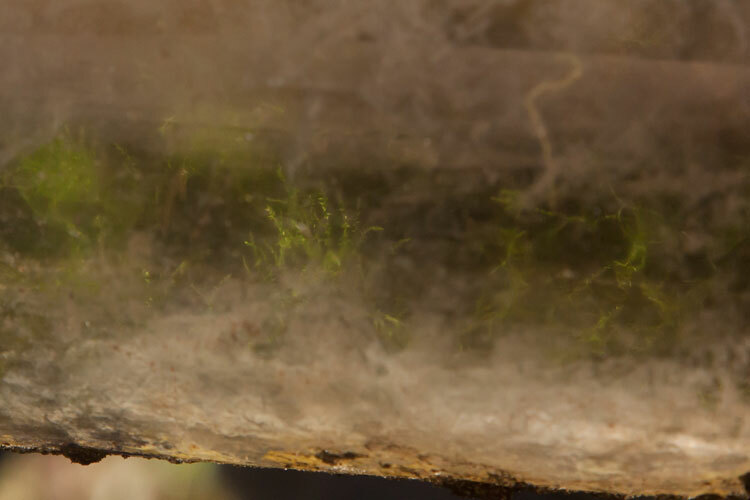 Moss in a bottle (crop of previous image). June 19, 2010. Henry County, Ohio. The final stop was the Rd. 2 and Wabash Cannonball Trail intersection. This is on the dirt road. The forest tract is east of this, though we mainly stayed on the trail. Here’s an aerial view of the trail. The trail is an wide open area. Wabash Cannonball Trail (OMLA Foray Site 3) Henry County, Ohio. June 19, 2010. The trail wasn’t an especially productive site for finding bryophytes and lichens, but was nonetheless rewarding to visit. One treat was seeing a decidedly non-evil member of the buckthorn family (Rhamnaceae): New Jersey tea, Ceanonthus americanus. 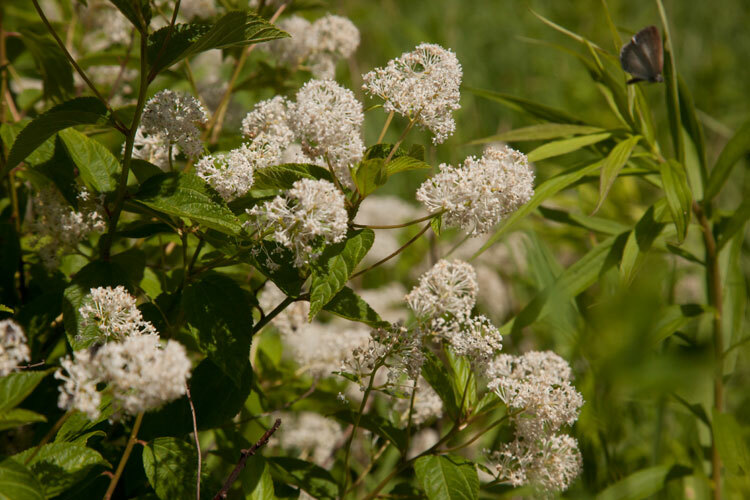 This species is a native low shrub that is the larval food plant for the spring azure and mottled dusky-wing butterflies (the latter quite uncommon in Ohio). New Jersey tea along the Wabash Cannonball Trail in Henry County. June 19, 2010. Species lists are currently being generated from the Henry/Putnam Counties Foray, and will be published in the 2010 OBELISK, the newsletter of the Ohio Moss and Lichen Association.